After the demise of the Haas Talks, the Unionists, playing to the Loyalist gallery, are pushing even further to unravel the original Good Friday Agreement. In this article, John McAnulty of Socialist Democracy (Ireland) explains the significance of the latest ‘on-the-runs’ issue. Another week, another crisis. The Irish peace process continues to have popular support (or at least widespread public indifference), but its internal contradictions see it constantly spiral out of control. It is clear that Peter Robinson’s threat to resign as First Minister marks a new stage in the decay of the Irish settlement. As with all political manoeuvres in the North of Ireland, appearance does not match reality. 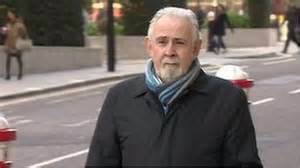 We are told that the current crisis arises from the dismissal of the court case against John Downey on charges relating to the Hyde Park bombing of 20th July 1982, and the disclosure of letters of comfort held by almost 200 “On the Run” republicans that assure them that there are no active police investigations involving them. In a small number of cases royal pardons were issued by the British. The relatively secret processes were minor elements of a wider settlement where both loyalist and republican prisoners were released on license after serving two years of their sentence. The stench of hypocrisy hangs heavily here. The issue of the “On the Runs” was a very public issue. When it fell off the agenda everyone understood that a private deal had been struck with the British. Tony Blair’s henchman, Jonathan Powell, reported that the DUP accepted the “On the Run” settlement as long as it was kept secret and attached to the earlier Trimble leadership. The issue was referred to in the Eames-Bradley public report on resolving issues of the conflict. At least two confidential reports were presented to the police authority and the arrangement was referred to in court cases. So why a political explosion around an issue that, at least in it’s broad outlines, was fully understood by all the politicians? The matter is obscured by the insistence of all concerned that the difficulty lies in arriving at a consensus on the past. Once we agree on the past the current divisions will resolve themselves and we will be able to move on. Yet in other conflicts, no matter how bloody, no one has to agree a common view of the conflict. The issue is resolved and history moves on on the basis of that resolution. So the claims that we must resolve the past, at least on the part of unionism, are simply a cover for demands that the present sectarian carve up be modified to give Unionism a much bigger slice of resources without any commitment to share with nationalists. The issue of the past looms centre stage because the current situation does not represent a resolution of the conflict. Unionist politicians have never accepted the political settlement and many call for the military suppression of republicanism and sectarian supremacy for themselves. The establishment of the Stormont executive involved a long retreat from the promises of equality in the Good Friday Agreement. Concessions to Unionism were still being made at the final Hillsborough Agreement, with legal status for the Irish language torn out of the deal. The British compensated Sinn Fein by handing over a £20 million language grant. The “On the Run” letters came from this environment, where an agreement on major elements of the deal would simply lead to unionist rejection and so had to be resolved through private assurances from the British. Even with endless reshaping to placate loyalism the peace process saw the loss of unionist leader Trimble, the collapse of the Unionist Party, the rise of the DUP and the ousting of Ian Paisley. Peter Robinson promised to introduce a pragmatic and businesslike approach to Sinn Fein that would constantly underscore the DUP’s hostility while getting on with the day-to-day division of sectarian privilege. Robinson won the lion’s share of resources for the loyalists and constantly humiliated Sinn Fein, but this was not enough for the DUP. Sections of the party, alongside loyalist paramilitaries, led mobilizations to demand outright sectarian supremacy for unionism around Orange parades and the display of sectarian emblems and this led Robinson to tear up agreements already made with Sinn Fein. Sinn Fein’s view is that the OTR crisis, like many others, is manufactured by the unionist right and that all that is needed is for more moderate unionists to provide leadership. At their recent Ard Fheis Martin McGuinness stood beside Catherine Seeley, a Sinn Fein member hounded from her teaching job through loyalist intimidation, and claimed the moral high ground. A case involving a unionist teacher would have seen Sinn Fein at the school gates. It was past time that unionist leaders spoke out against their more rabid followers. Sinn Fein hold the education ministry and Catherine Seeley is a member of a major teaching union. The fact that she can be forced from her job shows that the equal society that Sinn Fein claimed does not correspond to reality. While there is a division in the DUP over continuing in an administration with Sinn Fein or making any kind of concession to nationalism, it would be wrong to describe it as a split. Robinson’s reaction to criticism is to throw himself at the head of the reaction. Despite constant pleas, there is no chance that unionist leaders will join with Sinn Fein to defend democratic rights. As far as the British and Irish nationalism are concerned, the DUP are the lynchpin of the current settlement and must be conciliated. Sinn Fein will have to knuckle under. That was the outcome with the OTR scandal. Cameron announced an enquiry and simultaneously secretary of state Theresa Villiers declared that the letters weren’t worth the paper they were written on. Dublin kept in the background while the SDLP voted with the unionists in the Stormont debate. No doubt the Shinners will yet again receive private assurances from the British, but this will do nothing to reverse a crushing public political defeat. As with other crises the British conciliation leaves the way open for unionism to seek further concessions in the future. We have seen the Stormont executive grind to a halt, deals torn up, the DUP join with the Orange Order and paramilitary groups to enforce sectarian privilege. Dublin and London stand back and the local state forces collaborate with the loyalist mob. The Haass talks were meant to deal with the narrow grounds of immediate unionist rejectionism. After eight re-writes, the ruling out of any resolution of flags issue and a further retreat on Orange parades the unionists yet again said no to a deal. The continuing discussion of those elements of the interpretation of the past the unionists were willing to accept were a thin cover for political collapse. Now that the Unionists have driven back Sinn Fein on the “On the Run” issue and with local and European elections likely to see a resurgence of reaction, it is clear that an attempt to restabilise the Irish settlement will require a major revision more acceptable to unionism. As the chief victims will be workers, Irish capitalism and the British will seek a further accommodation without any deep concern about the consequences. Sinn Fein’s strategy is to delay. They are delaying agreement on a major austerity package, partly to keep a left profile in the northern elections, partly to reinforce an image of their party as the left opposition in the 26 country state. That strategy has gained them 22% of the vote in a recent poll, and they hope to convert that into a presence in the next coalition government in the South. The Shinners see a presence in government in both Irish administrations as providing a level of authority that will give them the upper hand in future revisions of the Irish settlement. They have clearly misinterpreted the lessons of Irish history. In reality junior partnership with capitalism and imperialism in the two executives will simply accelerate their long retreat to the right.